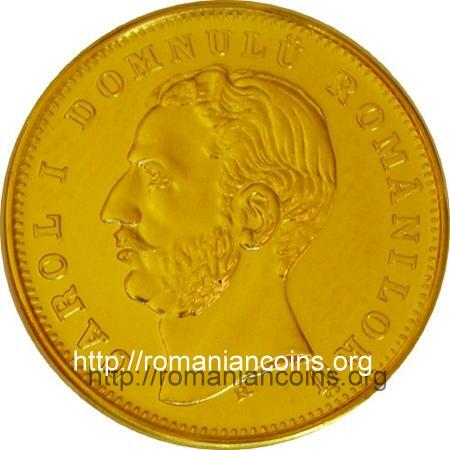 The pictures of the replica above are present on Romanian coins through the kind permission of Mr. J. Ardelean. A genuine 20 lei 1868 piece can be seen here. 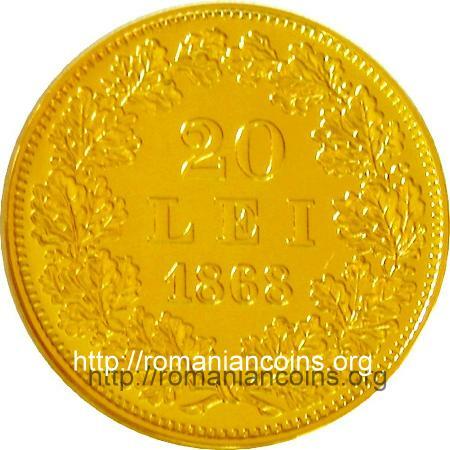 The replica of 20 lei 1868 gold coin belongs to the History of coin series. To the same series belong two other replicas, one of gold koson and one of a coin-medal issued by Constantin Brâncoveanu in 1713.